Leaving a 9 to 5 Job and starting own business is a trend today. The world of business has expanded in leaps and bounds. Young and dynamic individuals including student and housewife are interested in starting own business. However, arranging fund for starting a business is considered as one of the biggest hurdles by aspiring businessmen. If you are one of them lack of fund should not deter you from pursuing your entrepreneurship dream. You can plan to start a business that can be started with low investment. There are businesses ideas that can be started even with a capital investment of 1 Lakh. 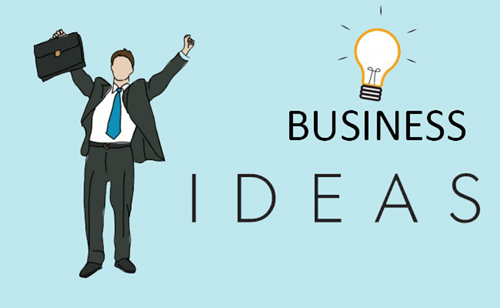 Individuals who are planning to start own business must go through the list of 15 Business Ideas that can be started with an investment of Rs 1 Lakh. A food truck is one of the most profitable business ideas that can be started with an investment amount of Rs.1 Lakh. To start a food truck, you need to take FSSI and other government approvals. Other expenses for starting a food truck is buying a raw material and commercial vehicle. You will also need manpower as a helping hand. You can also think of renting four-wheeler instead of buying it. Your profit from food truck business depends upon the area which you select for placing your food truck. Food Catering is another lucrative business idea that can be started with an initial investment of 1 Lakh. In this business, you need to take a contract for food catering at various events such as marriage, birthday party, anniversaries etc. You will need a competent team with good knowledge of management. You will also need kitchen items required for cooking food. A success of this business depends on the quality of food and customer service. Milk and food industry in India is growing multifold. If you have expertise in managing logistics you can start your own Milk and Vegetable distribution business. You need to take permission from the local municipal authority to start this business. You will need a good delivery vehicle and cooling unit for milk delivery at a longer distance. To increase the profit margin, you need to tie up with a milk processing company and vegetable supplier directly. Another task associated with this business is finding buyers. At an initial stage, you need to work hard to establish a logistic chain. Computer Hardware Repair & AMC Service is a lucrative business option. Most of the company across India opt for computer hardware AMC and repair services. If you have the expertise and manpower you can start this business. The investment required for this business is very low. However, you need to be very good at providing customer service and material delivery. Real Estate brokerage is a lucrative business option with low investment. If you are living in metro cities with good contacts, you can start this business easily. As a real estate broker, you can earn commission money on buy, sell or rent. To get started you need small office space and office establishment permission from a local municipality. You can make use of the online portal to get information about property available on buy, sell and rent. Education is a field where we never see a recession. Thus, starting a tuition class at home or at small commercial place is an evergreen business idea. This business can be started with very low investment. If you are knowledgeable and result oriented you can earn lot of money by running tuition class. At an initial stage, you need to spend some money on buying basic infrastructure such as blackboard, benches etc. You can start own courier service business with low investment. The best place to start courier business is nearby office area. It is advisable to start courier service business by taking agency of big courier companies such as DTDC, First Flight, DHL etc. Starting a Flower Shop is another lucrative business option with low cost. You can start this business with an initial investment of Rs.50000. Flowers are used in India, not only for gift purpose at special occasions but it is also used for religious purposes. The business model here is very simple, you need to procure all types of flowers from farmer or wholesale business owner at a lower price and sell it at a higher price to generate a decent profit margin. Opening a stationery store is a low investment business idea. Education or in a business requirement of stationery is everywhere. That’s why an ideal place to start stationery store is nearby school or nearby business area. You may need to take shop on rent to start this business. Apart from that, you will need shop establishment license and GST number. It generally takes 1-2 years to establish a stationary store. Opening a provision or grocery store in the residential area is one of the very good small-scale business ideas. The requirement of skill in this business is very low. Anyone with the small amount of investment can open a provision store. Another small-scale low investment business idea is a seasonal business. India is a country where festivals are celebrated with a lot of joy. You can start a seasonal business of kite, firecracker, rakhi, color etc. Chocolate Making is small scale home based business idea for women. You need raw material such as mold, chocolate cream and packing material to start chocolate making business. At the initial stage, you need to spend money on marketing and advertisement. Another home based business idea for women is beauty parlour. A housewife can start this business from home. It is advisable to do a proper course before starting this business. The investment required for this business is very low. Marriage Bureau is another home based low investment business idea for women. A soft-spoken women with good social circle can get good success in marriage bureau business. You need a database of prospective candidates for starting this business. Last business idea on the list is blogging. Blogging is one of my favorite business ideas. The investment required for starting blogging is very low. However, you need to be very good in expressing yourself in the word. Apart from that technical knowledge for managing blog is mandatory. You can earn money via placement of an advertisement on the blog. I hope you have got a good understanding of 15 Businesses Ideas in India that can be started with 1 Lakh. So, what are you waiting for? Surpass the barrier of money and start moving towards your passion and dreams. Remember – If you don’t build your dreams, someone will hire you to build theirs.